On May 26th, Heritage Canada The National Trust included an important Ottawa site in its annual list of Canada’s top ten endangered heritage places. Declaring that “the Feds play fast and loose with a national historic site,” the National Trust denounced the proposed severing of 60 acres of the Central Experimental Farm’s Field 1 for a future hospital campus without consultation. The Farm’s placement on the list is a call to arms for everyone who supports Canada’s history and federal scientific research programs. 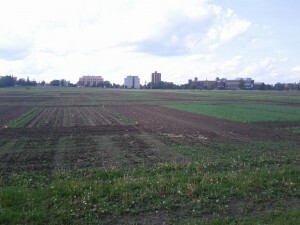 Last November, John Baird (former MP and minister responsible for the National Capital Commission), Jack Kitts (President of the Ottawa Hospital) and Mark Kristmanson (CEO of the NCC) announced their intention to transfer up to 60 acres of the Farm to the NCC who would then lease the land to the Ottawa Hospital to build a new campus. The announcement took everyone by surprise and it quickly became apparent that they bypassed the Central Experimental Farm Advisory Council, which is responsible for actively soliciting input from the public on the Farm’s future and providing recommendations to assist Agriculture and Agri-Food Canada in the ongoing stewardship of the Farm. Documents obtained through an Access to Information request show that the communications plan developed as part of the negotiations specifically postponed consulting internal and external stakeholders, including the CEF Advisory council and the scientists whose work will be directly affected. Scientists learned about the transfer in an email distributed by senior management in the hours after the November 3rd announcement. Blindsided, at least nineteen wrote to management to protest the transfer but, in the words of one AAFC manager, negotiators from the NCC and the Ottawa Hospital “didn’t care” about the impact to research. Indeed, it was only after Baird’s announcement that senior management in AAFC’s Science and Technology Branch was able to look into the work underway on Field 1 and identify that not all research can be relocated. 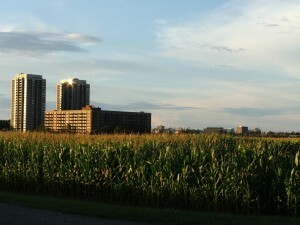 While the exact site of the 60 acres has yet to be established, internal documents show that most, if not all, of the land will come from Field 1 at the north-west corner of the Farm near the intersection of Carling and Fisher Avenues. Field 1 is characterized by a high variability of soil types within a small area and showcases the rich geological history of the Ottawa area. This makes Field 1 invaluable for conducting comparative small plot experiments, such as the ongoing tillage work. 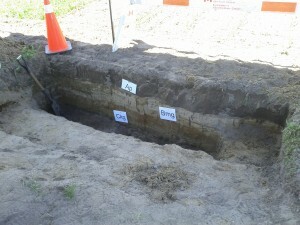 Other research at Field 1, some of which was showcased as part of Doors Open Ottawa, examines soil biosphere changes caused by nitrogen fixation, whole system costs of different cultural methods, and the influence of climate change on yields. This research has its roots in similar work undertaken on Field 1, then known as the “Lonetree Field,” as far back as 1899. The threat to the Farm as a heritage site and research station is clear. While some of the research can be relocated to other fields at the Farm, some long-term research projects undertaken to support Canadian farmers will be permanently lost. Further, the site chosen for construction of a mega-hospital on the experimental farm will significantly alter the cultural landscape cited in its heritage designation and its use for recreational purposes, placing its designation as a national historic site of Canada at risk. The National Trust uses three criteria to determine the inclusion of places on its list: the significance of the site; the urgency of the threat and the possibility of finding a solution; and, evidence of community support for the site’s preservation. As the headquarters of Canada’s experimental farm system, established in 1886, scientists at the Central Experimental Farm oversaw important research that supported the colonization of the Prairies, including the breeding and selection of Marquis wheat in the early 20th century, and the development of agricultural economies across Canada. The Experimental Farm System has been threatened in the past, but even at the height of the Great Depression politicians provided Farm scientists the opportunity to decide how and where to make cuts to their research programs. Nonetheless, there is hope. The Memorandum of Understanding, which the parties agreed not to share unless compelled by the courts or access to information legislation, between the NCC, AAFC, and the Ottawa Hospital includes a list of twelve conditions that must be met before the land will be released for development. This includes the Ottawa Hospital securing funding from the provincial government to build the new campus and getting the city to change the zoning of the 60 acres. Although the federal government has shown an unwillingness to negotiate with other levels of government once it’s made up its mind, these conditions provide an opportunity to petition local MPs, MPPs, and city councillors to ensure an open and meaningful consultation process is undertaken. Meaningful consultation must include an exploration of alternate locations for a new hospital, such as the site of the former Sir John Carling Building at the Farm and Lebreton Flats, two federally owned sites well connected to mass transit along the current and future LRT lines. The inclusion of the Farm on the endangered places list is an important reminder that there’s still time to act and protect the Farm’s important ongoing scientific research and its lasting heritage value. Pete Anderson is a PhD candidate in Geography at Queen’s University. His research focuses on the historical and cultural geographies of Ottawa’s Central Experimental Farm. He can be reached on twitter at @dairpo, by email at peter.anderson@queensu.ca and online at www.historyapplied.com.